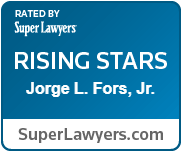 FORS attorney, Jorge L. Fors, Jr., was recently selected by the national publication, Super Lawyers Magazine, as a “Rising Star” in the area of Business Litigation. 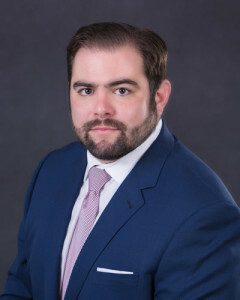 This honor is reserved for lawyers under the age of 40 who have exhibited excellence in their respective practice area. Only 2.5% of attorneys in Florida receive this distinction.